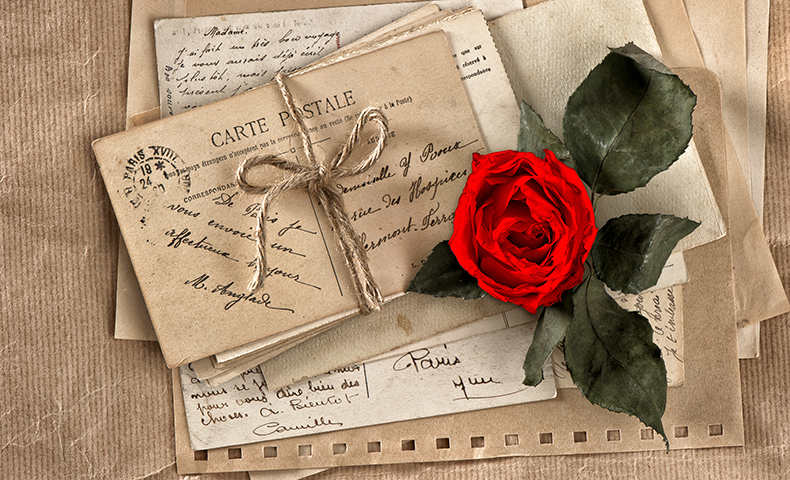 This Valentine’s day, there’s no better way to express your feelings than in an original handwritten love letter. If you’re not feeling poetic, skip the “roses are red, violets are blue,” but do make it personal with your handwriting and a pretty piece of paper. Handwritten love letters have connected people for generations. Some of the most famous love letters include notes from (and to) noted actors, authors and artists, such as Marlene Dietrich, Ernest Hemingway, Frida Kahlo and Diego Rivera. Handwriting adds a personal touch to your message, and it can turn your love letter into a historical heirloom. John Adams, the second president of the United States, exchanged more than 1,000 letters with his wife, Abigail Smith Adams, during their courtship, after their marriage and well into his political career. From his salutations (“Miss Adorable”) to his closings (“Yours most tenderly”), John Adams shared his feelings for his wife, as well as his commentary on current world affairs. Fast forward more than 150 years to President George H.W. Bush. He enjoyed sending handwritten notes to people; in fact, it was his preferred method of communication. Even today, putting pen to paper means more than sending a text or email. This year, like every year, many tons of Domtar paper will make the holiday special, from our card stock for greeting cards to our specialty products for edible treats. 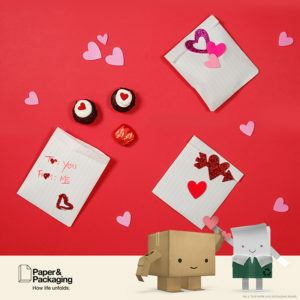 Here are a few other ways to use paper creatively to show your love this Valentine’s Day, courtesy of the Paper & Packaging Board.